“We have not seen a progression as intense as in the early years (otherwise we would have lost almost half of the network) but it has not improved,” he said. According to him, the accounts were misleading and the forecast of 50 million euros in the sector was 380 million, as it came to be noticed in the years of the troika and post-troika. It acknowledges that measures have been taken mainly to “not aggravate the fall in the price of medicines” and wants governments (of the Republic and the Autonomous Regions) to work towards “a sustainable platform for the country and for pharmacies”. The agency says there has never been a need for incentives for the industry and admits that many pharmacies have not closed doors, particularly in more remote areas of the country and the Region until, because “pharmacists did not have the emotional conditions to do so leaving people without support” and stresses that “80% of the work of pharmacies is public service”. Ana Paula Martins also recalls the “enormous need for reorganization of the hospital pharmacist career” that is created but not yet regulated, both in the continent and in the autonomous regions. 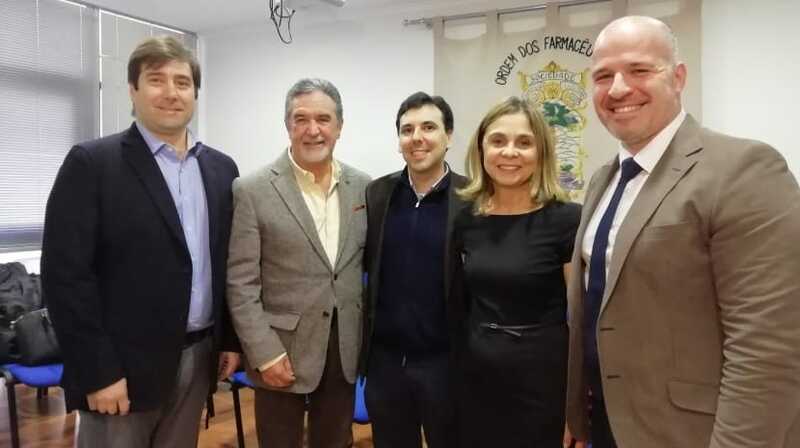 The staff was met with pharmacists from Madeira, with the participation of the outgoing presidents of the Regional Section of the South and Autonomous Regions and the Regional Delegation of Madeira, Ema Paulino and Bruno Olim, respectively, who, due to limitation of the number of mandates are now candidates national bodies. Being the only list, the Madeira Delegation will be headed in the next three years by the pharmacist Tiago Magro. The candidate for the presidency of the Regional Section of the South and Autonomous Regions is Luís Lourenço. The elections take place on February 9.